My 81 cb400t "old faithful"
Just though id post a few pics to see what you guys think. This is my 81 cb400t i picked up a few years ago that was chopped up, ratted out and riding on solid steel bars for rear suspension. Most of the paint and tear down was done within the first few months but since then i tweak or change a little something every now and again to make it more to my liking. Been a faithful bike i ride to work everyday the weather permits and on weekend backroad cruises. Really the only thing ive left untouched is the chopped off rear frame, which i hate and was poorly done by previous owner. Any thoughts and comments appreciated, these 400ts are not a popular bikes for customizing and i realized why after digging into it, but shes been good to me mechanical wise. Motorcycle Mechanics Institute of Orlando graduate. 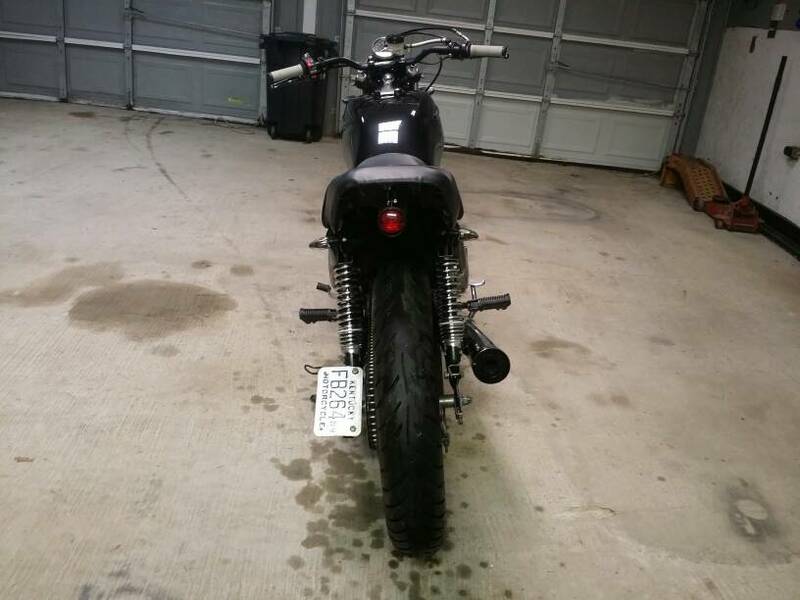 Re: My 81 cb400t "old faithful"
Here's some pics the day i brought it home.